Combining mountain scenery with exquisite valley backdrops makes the Himalayas one of the most fascinating trekking adventures in the world. On top of providing some of the most picturesque landscapes known to man, it also plays host to some incredible displays of traditional culture and of course we cannot forget that it is home to some of the planet’s highest peaks. The very beginning of India can be traced to this historic region and researchers believe that the origins of the Indus Valley Civilisation date back as far as that of Egypt and Babylon. This large valley sits on the border of Pakistan, Afghanistan, China and India and is situated at an altitude of 3500 to 3600 metres above sea level. It consists of large stretches of undulating lands interspersed by high mountains making the Indus Valley a magnificent starting point. Over 5,000 years ago huge cities were developed on the Indus River floodplain with straight streets and brick homes which even contained private baths. The Indus Valley is the soul of Ladakh and on a tour you will pass some of the most charming villages of Sham region and discover the ancient Ladakhi monasteries hidden deep in the wonderful mountains. Watch on as the monks and nuns continue the meditation and lifestyle that has been part and parcel of the culture here ever since ancient times. Boasting incredible scenic vistas and a pristine environment, Suru Valley is dominated by the highest mountains of Zanskar – towering at heights of up to 10,000 ft – and is drained by the Suru River; a tributary of the Indus River. This route goes along vast stretches of uninhabited land close to the glacier of Nun-Kun which provides the magnificent view of the Himalayan peaks of the Zanskar range. Nun and Kun are two pairs of snow-peaked mountains and its eight-mile long glacier makes the Suru Valley one of the most agriculturally productive regions in all of Ladakh. As a result, during the spring-time a beautiful bloom of apple and apricot trees ravishes the region, while the surrounding area is engulfed with a broad edelweiss carpeted meadow. This is one of the most beautiful and difficult terrains of the Suru-Kartse area and should be explored by taking a full-day drive. At 14 miles long, the Drang-Drung is the largest glacier in Ladakh and while it may be part of the Suru Valley region, we believe that it deserves a special mention. The Doda range which rises from the glacier has an elevation of 21,490 ft (6,550 metres) and its peaks remain snowcapped throughout the year. Along the slopes you will find an immense variety of herbs. As you gaze upon the surrounding beauty you will be sure to agree that the glacier and the stream are a tremendous testament to Mother Nature. Zanskar is one of the most remote areas in north India and is part of a dying breed of original Tibetan Buddhist societies. It is one of the few remaining places on this planet that visitors can witness a Tibetan society with a continuous untainted lineage dating back thousands of years. The Buddhist people living in Zanskar are called the Zanskari and they practice their own language, have their own religion and enjoy a unique history. Famed for its many spectacular cave monasteries, your trek will also enable you the unique opportunity to explore a phenomenal culture. Among the many highlights is a trip to the Karsha Gompa monastery. Nestled in the mountains of the Padum Valley this imposing complex of neatly white-washed blocks is the largest and wealthiest of all the monasteries in Zanskar. Browse the fine collection of Himalayan art and gaze upon the magnificent 500-year old frescoes, housed in the Lhabrang. Markha valley is blessed with spectacular views of Ladakh and Zanskar ranges and is a region rich in culture. While trekking you will stumble across its civilisation tucked away in the valleys. It is really a great experience to visit the small monasteries, illuminated with butter lamps. Trail through the willow groves and bushes of wild roses to Nimaling plain where one can meet nomadic families with their herds of yaks. This is a moderate treck and the highest point is Kongmarula (5150m). The name Manali is derived from Manu, who according to the Hindu faith, is said to be the first man on earth. 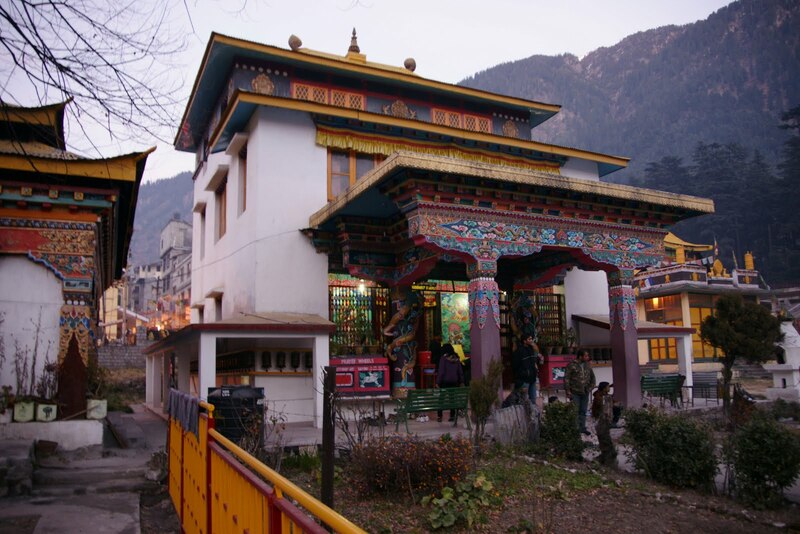 As a result, the area of Manali is a sacred religious land and Hindus treat the temples as a significant pilgrimage. In the morning visit Old Manali village and the temple of Saint Manu, before visiting the pagoda style temple of Goddess Hadimba Devi at the Dhungri. Manali is a popular tourist destination and remains one of the best locations to conclude your Himalayan adventure. Sitting at an elevation of around 1950 metres, Manali is surrounded by the imposing mountains and luscious green forests of Kullu valley which is also known as “the valley of God”. From here you will be able to take a comfortable bus journey back to Delhi before being transferred back to the airport fulfilled with a series of tremendous memories to cherish forever. This is one of the most enchanting trek available in the Kullu valley, which offers some of the most widely beautiful mountain scenery to be found anywhere in India. Deep forest, wide open lush green hanging valleys and the bleaks, marinated landscape dominated by the Malana glacier, all add up to a very beautiful trek. Malana is a tribal village, which is considered as the oldest democracy in the world. The permission must be obtained by the head of the villagers to visit the important places in the village and one have to be very careful to not touch the untouched places (sacred places and monuments). In that case the villagers can claim the fine to the person who touched the places intentionally or not. Ganga is a holy river which drains a large portion of India; hence it is worshipped as Mother Ganga. Rising from the icy caves of Gaumukh in the snout of the Gangotri, the picturesque scenery is there for all to see. Groups of pilgrims and saints (Sadhu) can be seen paying homage in various temples and on the banks of the Ganges. For the most spectacular views, rise above Ganga to the Tapovan plateau. Tapoval has long been a favourite destination among trekkers for its sheer captive beauty and outstanding views of the Gangotri glacier and surrounding mountains. You don’t need to have been in the Mountaineering society at university in order to enjoy this one. The Himalayas is widely regarded as the greatest trekking expedition in the world, and all with good reason too. After completing 16 years of field experience, Himalayan Frontiers was established in 1996. The team of ex-field men have since gone on to become one of the best inbound Adventure & Cultural Travel conglomerates in all of India, providing comprehensive solutions for the needs of the travellers. Himalayan Frontiers has created a niche for itself in the fiercely competitive travel industry through its dedication, vigour and the desire to provide quality services. The local knowledge of the team members combined with the collective strength of network contacts and sources enable Himalayan Frontiers to guarantee the efficient and high quality services to their clients and business partners. Himalayan Frontiers is well known in the Adventure Tourism for representing some of the world’s best brands in the field of Cultural & Adventure Tourism, exclusively in India. This company has its office in India with a team of highly trained qualified professionals representing some of the best – known names in the Inbound Adventure & Cultural industry. With a Himalayan Frontiers adventure you will explore the vastness of the Indian horizon. They will help to facilitate your choice and guide you towards the most fascinating places and experiences that India has to offer. Allow them to plan your itinerary for you and they will even map them out into a series of perfectly planned holidays. Himalayan Frontiers motto is to provide efficient service to their clients at their doorstep and thus provide an environment where travellers can relax and feel at ease. Himalayan Frontiers featured in the iGap Travel Guide Global Edition 2013 which can be found here.